This is a sponsored post written by me on behalf of Giant Food Stores . All opinions are 100% mine. 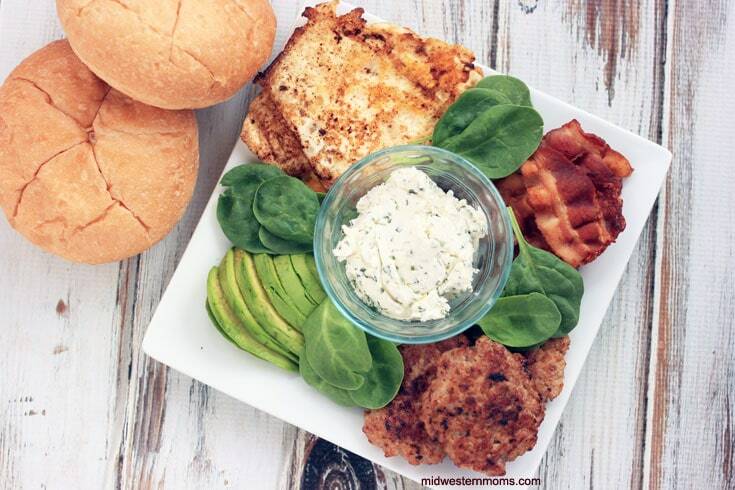 A deliciously satisfying Midwest Farm Burger that is perfect for brunch! On the weekends, we love to make a larger than usual breakfast. So, by the time we get everything cooked, it usually turns into a brunch. 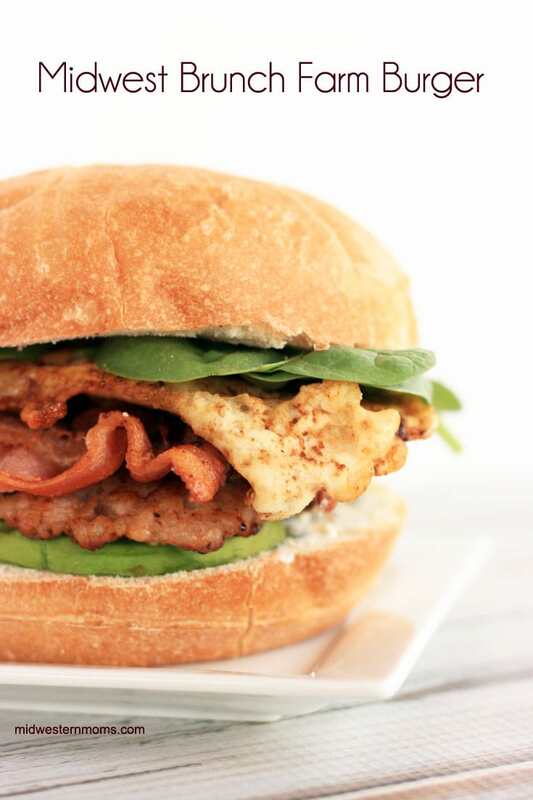 Usually, our brunch staples include bacon, eggs, and sausage. When Giant Food Stores asked me to recreate their Midwestern Farm Burger, I was ecstatic. 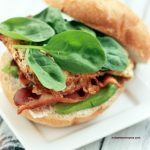 A new recipe for our weekend brunch! I didn’t exactly follow their recipe to a “T”. There was a few things that I changed. I thought there needed to be a country style sausage patty added to the farm burger. I also decided on baby spinach leaves for the greens. Doesn’t that just look tasty? If you are not a fan of adding a sausage patty, it is still a great burger! If you want the original recipe, check it out here. Fry your bacon first and then fry your eggs in the bacon grease. This gives the eggs excellent flavor. Feel free to sprinkle a bit of black pepper on the eggs while they are cooking. I like to cut my bacon strips in half before frying them up. Just use your kitchen scissors to snip them. I feel that it makes them easier to stack on your burger. I have spoiled myself with the freeze dried herbs. They are already chopped up and makes cooking easier. So in this recipe, I used the freeze dried chopped chives. When applying the cream cheese and chives spread, make sure to apply it to both sides of your roll. Try toasting your roll. Simply cut your roll in half. Place the cut side down on a heated skillet until lightly browned. Make sure you pick a ripe avocado if you plan to make this recipe same day as your shopping trip. If you don’t get a ripe one, place it on your window sill to help it ripen. I usually have to do this since I am not the greatest at picking out ripe ones. I just picked up some country style pork sausage in the meat department. I decided not to get the prepared pattys so I could make a slightly larger patty. Sometimes the prepared ones end up pretty small when they are cooked. When you go to make the pattys, the thinner the patty the better. It will cook all the way through faster. This Farm Burger would be perfect to fix when you have family gathering as well. You can lay out all of the ingredients and everyone can fix their burger they way they want. Everyone will be happy! In a bowl, mix together the chives and cream cheese. Set aside until ready to make the sandwich. Fry up the bacon in a skillet. When the bacon is done, fry your eggs in the bacon grease. Fry up your pork sausage pattys in a clean skillet. Halve the avocado and remove the pit. Scoop the flesh from the peel and cut into slices. Cut your kaisar rolls in half. Spread the cream cheese spread onto both sides of your roll. 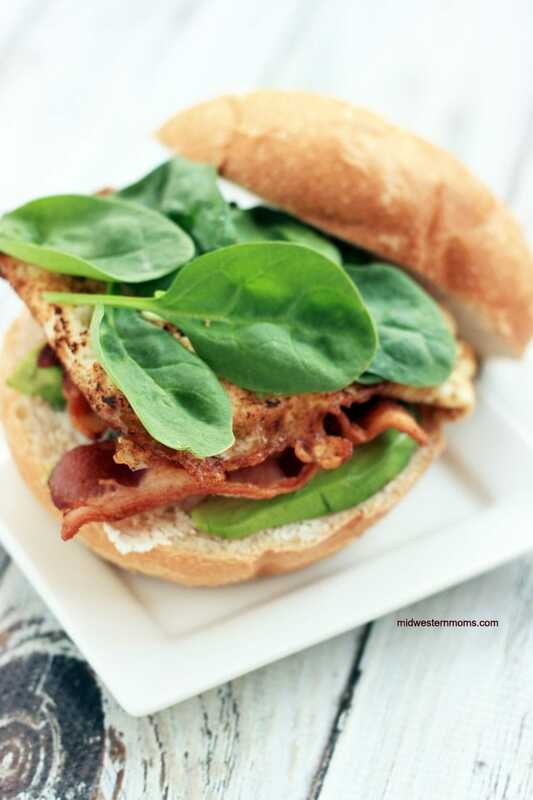 Layer the avocado, sausage patty, bacon, egg, and spinach leaves. 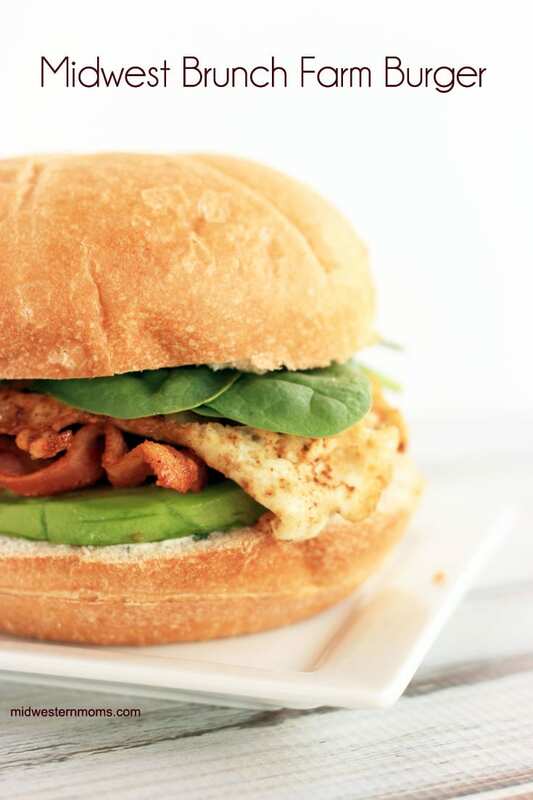 Put the top of the roll on and you are ready to devour this delicious sandwich. Tip: When removing the bacon, eggs, and sausage pattys, place them on a plate covered with a paper towel. Then take another paper towel to dab the food. This will help remove any extra grease. Want some more great recipe ideas?? Make sure you check out all the ones from the Giant Recipe Center. They have tons of great ideas for celebrating the 4th of July as well! While you are there, check to see if a Giant Foods Store is near you! Devon, I read your recipe for your Midwestern Burger and it made my mouth water? I’ll have to try to make it, I know it says to use avacodo but if we don’t like them could i put sliced onions or fry cut up onions&garlic cloves until carmelized and put on top of the sausage pattie? Please Reply back ASAP! Thank-You! You can try that. I personally haven’t tried it, but I bet it will be good.